Every day as Starbucks serves up the best-tasting coffee, wonderful moments and stories also brew within its stores as people from different walks of life gather and enjoy a good cup of coffee in the company of friends and family. As Starbucks houses moments of human connection, it also becomes a witness to the deepest kind of connection – love. This Valentine’s Day, discover different kinds of love, some as heart-warming as a hot cup of coffee, some as sweet as your favorite desserts, and others that are stronger than any shot of espresso. Bringing out distinct flavors for your perfect brew sometimes takes time. Just like the perfect cup, sometimes love also needs a little time to brew to make it much sweeter. In 2005, Amelia and Marvin ended an almost 2-year relationship. Amelia started focusing on her work, family and ministry service, spending most of her time at a local Starbucks. One day, she was surprised to find Marvin waiting for her inside the store. Despite being apart for more than a year, they both admitted that their feelings for each other remained the same. 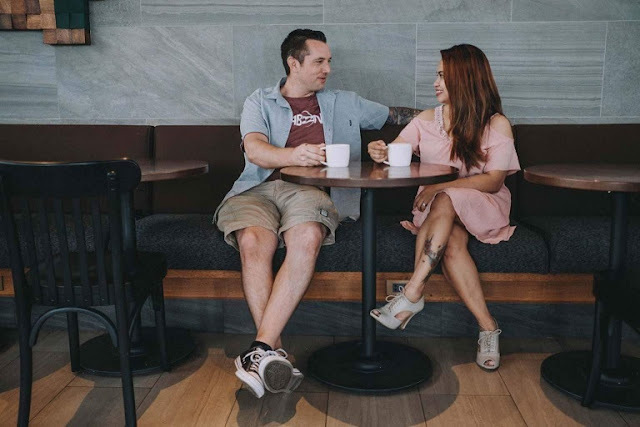 From that moment on, they rekindled their romance, tied the knot and even had their pre-nuptial shoot at the place where their love story started anew – Starbucks. Coffee links us together in its own special way. It’s over sips of cold brews or slurps of blended Frappuccinos® that people make many memorable moments. For three lovely couples, the connections they made at Starbucks grew strong enough to withstand even the farthest of distances. Jaedel and James had been miles apart in the beginning. He lived in California while she stayed in Laguna, but when they finally met they knew it was something special. Jaedel was a mother of two, and as James embraced her children into his life, they bonded over Starbucks family dates. Eventually, the pair got married and had a child of their own and as their family grew, they continued to share even more family dates at the store. 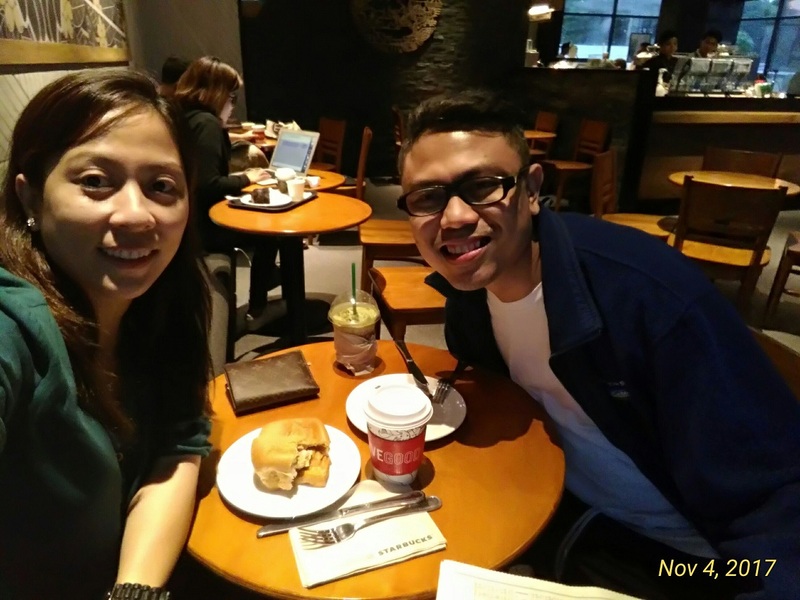 Another love story rooted in coffee and tested by distance is that of Starbucks Store Manager and former partner (employee), Franz and Jennifer, who met in Starbucks Las Piñas where he was a seasonal hire and she was a shift supervisor. They had already felt a spark as they talked about growing up in the same city and province. Unfortunately, both were transferred to different stores and grew farther apart as she worked overseas. Realizing he had found true love and was not about to let her go, Franz continued to pursue Jennifer on social media. Just recently, the pair started a new chapter in their lives as they officially became husband and wife. A deliciously-brewed cup of coffee, without all the extra syrups and all the extra toppings is a treat in itself. The same goes with romance, though there are passionate love affairs that endure relentless struggles, there are also beautiful stories that will touch any heart with its sincerity and simplicity. Paula and Joseph share a story with a sweet and uncomplicated beginning. After being introduced to each other by friends, Joseph began to woo Paula. Every day, he would pick her up from work and take her to the nearest Starbucks store to talk and get to know each other. Now, years later, they are happily married and have started a family and their own Starbucks traditions, spending Christmas and New Year at the store where it all began. For Rhoalyn and Geo, Starbucks didn’t just hold the memories of yesterday but also the plans of tomorrow. As frequent customers at the branch in Alpap-Leviste, the pair had spent many days imagining their lives together, sitting down and planning for the future. It was in this space that many of their milestones began as dreams and slowly turned into realities. These romances are just some of the hundreds of stories that occur within hundreds of Starbucks stores every day. So the next time you find yourself at Starbucks, stop, sit and watch as different stories of love and beautiful moments unravel around you. Got an inspiring Starbucks story to share? Visit www.meetmeatstarbucks.ph and submit your story for a chance to be featured. Because good things happen when we get together.